Shiva and Parvati story has immense romance and knowledge. Do you know once Lord Shiva got scared with Parvati and that happened just before their wedding? 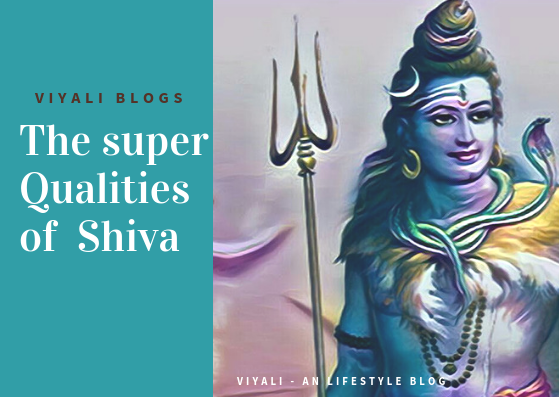 In this post, you will know some of the winning flashes happened in between Shiva and Parvati, just before their marriage which illustrates why there is no one like Shiva? It is a tale of love which represents the simplicity of Shiva and, you will realize, why Mahakaal is also known as Bholenath. Goddess Parvati was a princess of the mountain king Himavan. She enjoyed all the facilities of being a princess since her childhood. Goddess Parvati is so delicate and, beautiful. Whereas, Shiva is remarkably vigorous from the outer appearance. Since her childhood, Goddess Parvati was mesmerized with the qualities of Lord Shiva. She loved everything associated with Shiva especially the beads of Rudraksha. Although she was the manifestation of the Adishakti, who took second birth as Goddess Parvati after the unfortunate dismissal of Goddess Sati from the world still she remained connected to Shiva. In her second birth, she was calm and focused on achieving Shiva as her husband. She knew that Lord Shiva was a Vairagi so, she didn't repeat the old mistakes of Sati. Parvati did the hard austerity upon Lord Shiva to win Shiva as her husband. She meditated upon Om Namah Shivaya to a prolonged period with complete devotion towards Shiva. She took the pathway of devotion over the path of love to persuade Shiva's heart. In which Lord Vishnu helped her as her elder brother. After the successful penance of Goddess Parvati, Finally, Shiva told her that he had waited so long for Parvati to take birth again and Now he accepts Parvati as his consort. Shiva further elaborated that it was hard for him to stay away from his shakti. Parvati gives consent to Shiva's word. 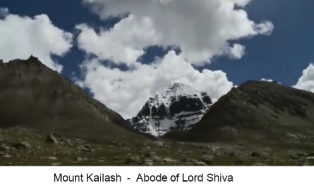 Lord Shiva asks Paravati to take the responsibility of mount Kailash as his loving wife. Parvati refused to accept Shiva's wish. She requested Shiva to marry her with all, the predefined rituals like an ordinary man does. Shiva tells Parvati that he don't know much about the rituals of the wedding, but he will do it all for her. Parvati returns thanks to Shiva. She requests Shiva to demand her hand from her parents. 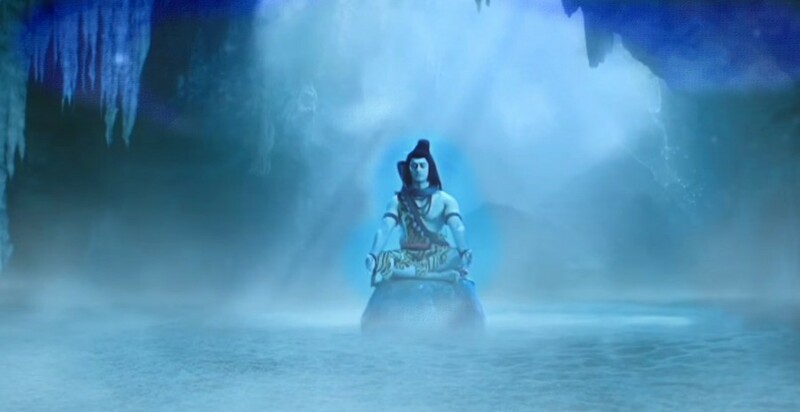 Shiva told to Parvati that Glory of Being Shiva doesn't allow him to ask anything from anyone. Parvati gives consent to Shiva's word and understands the hidden facts on it. Later that Shiva tells to Parvati that he will do something about it. After that, Goddess Parvati returns to her palace and starts worshipping Lord Vishnu. King Himavan & Meenavati attend the worshipping of Lord Vishnu along with Parvati and king offer the garland of marigold to Lord Vishnu's beautiful idols. Next day Shiva reaches the kingdom of Himavan with a group of an artist and starts glorifying the name of Lord Vishnu. The citizens of the states get delighted to listen to the glory of Lord Vishnu. The guards of the kingdom, inform the king about the group of the artists. Himavan orders them to bring them into the palace to watch their performance. Parvati identifies the voice from her windows and immediately looks down to see the face of the group leader. She knew that it was Mahadeva who has come for her. In the mansion, the king orders them to show their performance. Shiva starts singing the brilliance of Lord Vishnu. King gets delighted by hearing the performance and in the end request their group leader to take something in return. Shiva as their group leader tells the king that he doesn't want anything from the king but king forces to take something. Shiva told that he liked the princess of the kingdom who was watching the performance from her top window. King gets angry at the group leader and insults the entire artist crew. King orders them to leave the palace. The group of the artist left the mansion but before moving out of the palace. The king sees the same garland on the neck of the group leader which he has offered Lord Vishnu. After that incident, Lord Brahma appears to the Himavan palace. 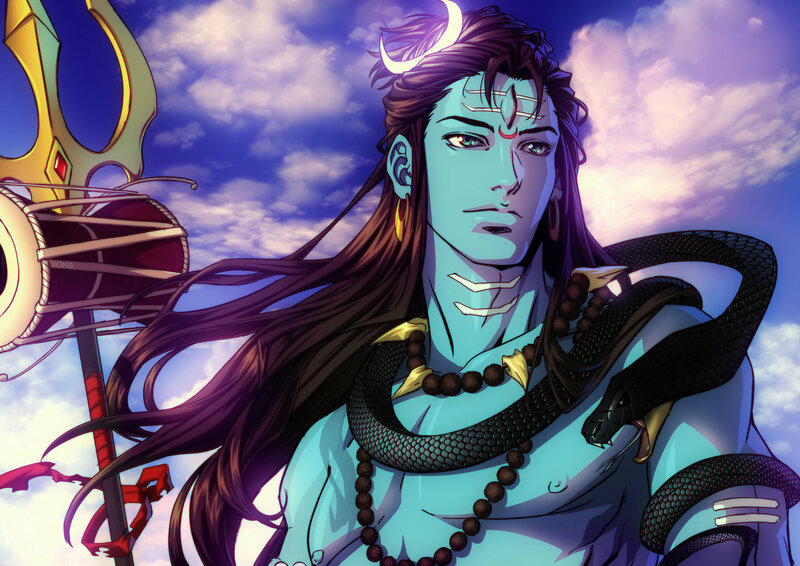 Brahma revealed the identity of the group leader as Lord Shiva. King Himavan realizes his mistake. He later inquiries with queen Meenavati and her daughter Parvati. Goddess Parvati gives her consent that Shiva was there at that time. The King and queens get delighted to hear all that and give their consent to the wedding. At Kailash, everyone gets delighted to hear the words of the Himavan. Then Lord Vishnu appears to meet Lord Shiva along with Brahma and demigods. Vishnu reminds Shiva that after Mahadev's wedding, Himavan will get salvation which could create a disturbance for the earth. The guru's of demigods states that if Shiva can mock himself in front of Himavan, then after listening to harsh words for Shiva they will get into the dilemma about Shiva. Due to their perplexity about Shiva, they will never get Moksha. Meanwhile, Shiva's dear Bull Nandi along with Shiva's Ganas rejects the proposal of demigods guru's. Nandi reminds everyone that it could create tension for Shiva and Parvati's wedding. Nandi request Shiva to reject the proposal. Shiva smiles and looks at Nandi & Ganas with great affection. Shiva tells that Narayan and devas came to here to discuss the social welfare. 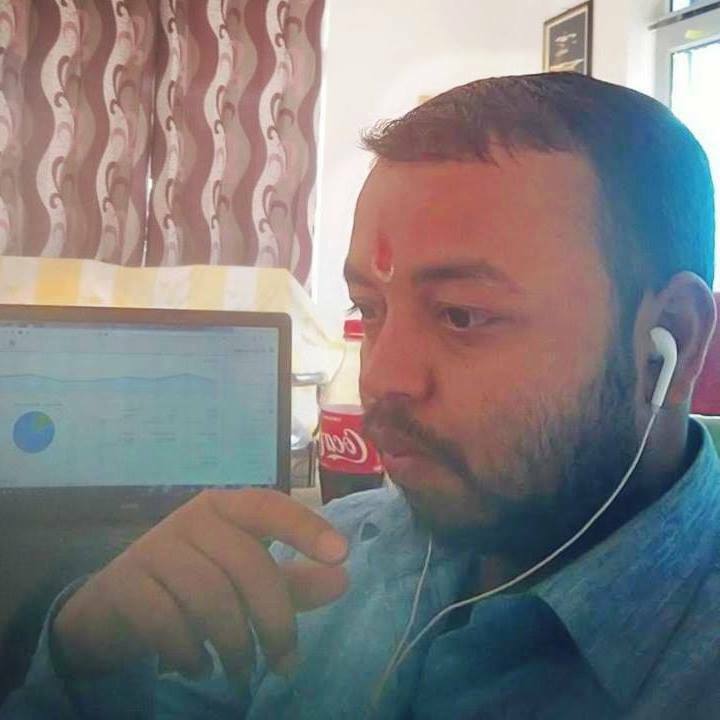 One's accountability towards society and duties is more crucial than Moksha. Few people in this world cannot get free of their responsibilities. Himavan is one of those people. Hence I will put King and queen into the dilemma. 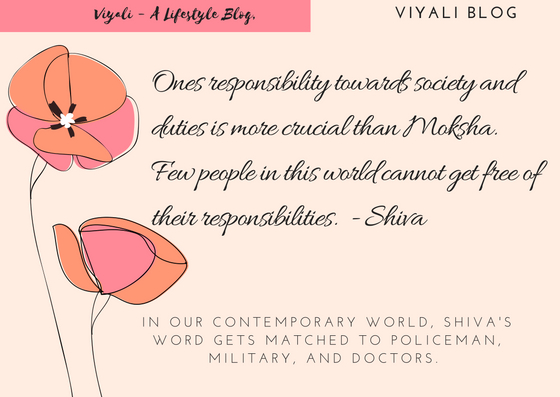 In our contemporary world, Shiva's word gets matched to Policeman, Military, and Doctors. Nandi reminds everyone what will happen if due to the Dilemma this wedding gets into the problem? Shiva tells to Nandi that due to the personal loss, he cannot avoid the responsibility of doing peoples welfare. Shiva tells public welfare is first, for him, everything comes after that. Next day at the palace, Shiva appears as a Brahmin along with Nandi. Nandi who was an appearance as a pupil of the Brahmin. 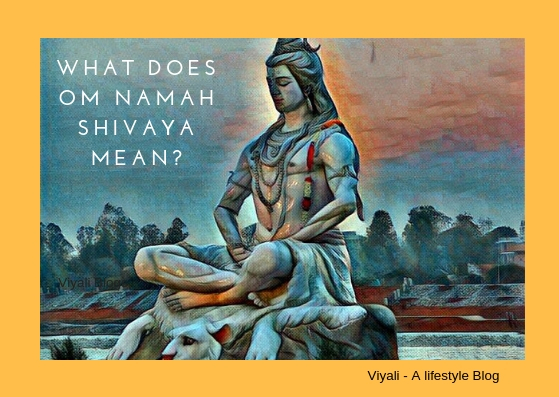 Shiva as a Brahmin ask a question to Himavan why are you marrying your daughter with the greatest Aghori, Shiva? A man who likes to wears the garland of the skulls and holds trident. He even has a snake on his neck. Don't you know he loves to roam in the various cremation ground? Nobody knows about his father, How can you give your innocent daughter hand in that person's hand who looks like greatest Kapali? Ghost dances around him and he does dance of destruction. Parvati's friend informs her regarding the Brahmin entry to the palace. She describes how Brahmin is defaming Shiva? Parvati smiles a little bit and tells her friend that we must receive them with great honor in our palace. They have come from far; they may be thirsty and hungry, we should cook some food for them. Then, Parvati comes the place where brahmin and his pupil were mocking Shiva. Parvati slowly moves near towards Nandi and Shiva. Firstly, Nandi sees the mother coming towards them. He stops defaming Shiva, Nandi gets scared a little bit and, takes a step backward. Unaware of Goddess Parvati entrance; Shiva as a Brahmin keeps defaming himself. In a daunting Voice, Goddess Parvati request brahmin to eat food first. Meanwhile, Himavan also requests brahmin to eat some fruits and drink water first. Nandi starts shivering with fear and, stays there on his place. Whereas, Parvati takes Brahmin with him in the dining hall. The greatest destroyer of darkness, Lord Shiva get nervous; he gets silent. Parvati offers sweets to Shiva into a bowl and, Lord Shiva silently picks it up. Shiva was not looking at Goddess Parvati. It was the first time she was offering food to Shiva and requesting Shiva to have more sweet in the bowl. Shiva starts having the sweets, and she starts scolding Shiva. She asks Shiva why do you keep thinking about peoples welfare every time. You even forgot that you have not yet become the son in law of the palace. 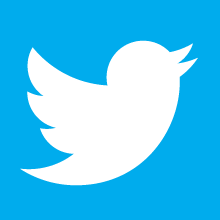 Do you know, How will my mother react when they, will come to know about you? You Just came here to slander yourself without thinking of me and one thing more I will not leave Nandi too. How dare he, did not stop you, He blindly follows you everywhere. You have done enough people welfare. Now it's time to think about personal welfare. 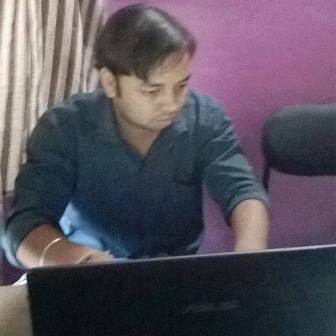 Your welfare is the most significant thing, for the well-being of the society, and, everyone including me. Shiva looks at the big eyes of goddess Parvati. Her hearts get melt after seeing the charm of Lord Shiva. After that, both look at each other with love. Parvati puts her eyesight down and again scolds Shiva to eat sweets. The god of the gods again starts eating his sweets. She further asks Shiva what guise you have taken, please appear in your real form, in the form of Shiva. Shiva appears in his real auspicious form. She gets delighted to See Shiva's real form and Shiva gives thank for the sweets. Shiva tells that he will soon come as groom of the kingdom. Before leaving Parvati, she makes sure to Shiva eat one more bite of sweets with her hands and gives a packet of sweets for her children (gans). 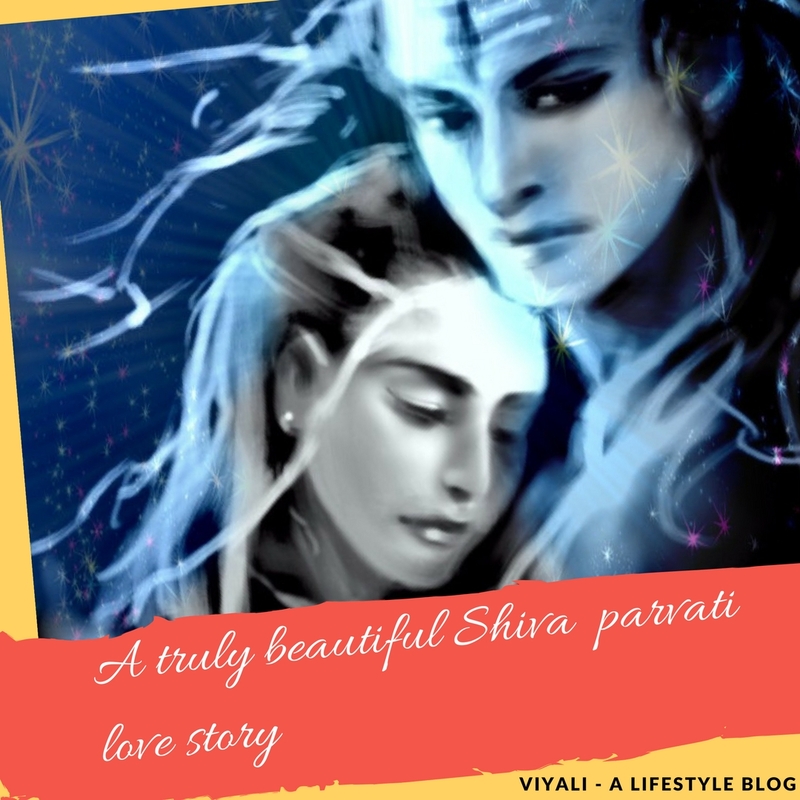 In this post, we have defined a tale of love in which Lord Shiva got scared with Parvati. If you liked this post, please feel free to share on social media. We will be thankful for your kindness.